2.To deep clean and care your skin. 3. Efficient absorption of water and sweat. 8. Color and size and weight can be customized. Changshu Deying Textile Co., Ltd.
And we are able to build up your own brand in your country with excellent quality and service. We always hope to establish a long term business relationship with Customers. 3. Your business relationship with us will be confidential to any third party. Steask-free & Antistatic This magic towel can remove waterspots and leave your car,boat,kitchen,glass,or any surface dry and streak-free. 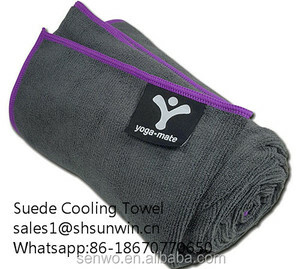 Fast Dry With super absorbent ability,this magic towel is absolutely a perfect choice for people's hair or any pet's hair drying. And it can protect instead of hurting human's or pet's hair. The thickness gradually changes to provide support from the abrasion in the saddle area and Ischia bones. Check more design parameters of this coolmax 3d cycling pad chamois,high density foam Coolmax cycling pad, cycling foam pad : NO. Yat Sports Factory provices this cycling pads series of 3D Cycling Pads for cycling pants, 3D Cycling Pads, Cycling shorts 3D Cycling Pads and so on. about 7-12 working days for custom logo Shipping A. Team Service : Clients provide logo or art file in pdf format. Our team will check and design before production. 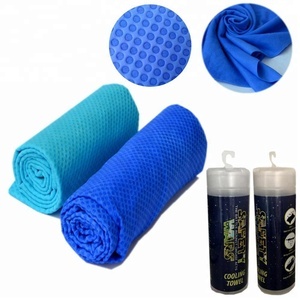 C.
Alibaba.com offers 2,674 sports chamois products. About 72% of these are towel, 6% are cleaning cloths, and 3% are car wash towel. A wide variety of sports chamois options are available to you, such as airplane, beach, and home. 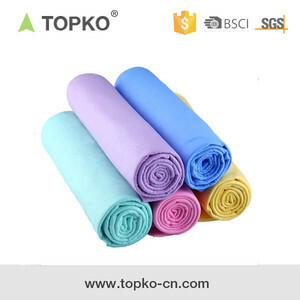 You can also choose from chamois, microfiber, and non-woven fabric. As well as from plain dyed, printed, and embroidered. And whether sports chamois is towel, or cloth. There are 2,605 sports chamois suppliers, mainly located in Asia. The top supplying countries are China (Mainland), Pakistan, and Taiwan, which supply 97%, 2%, and 1% of sports chamois respectively. Sports chamois products are most popular in North America, Western Europe, and South America. You can ensure product safety by selecting from certified suppliers, including 262 with Other, 257 with ISO9001, and 127 with BSCI certification.